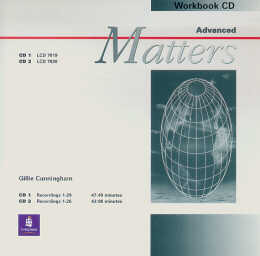 * MATTERS is a fully integrated five-part course that takes learners from elementary to post-CAE level. * Each level in the series is based on sound grammar imput, balanced coverage of all four language skills and systematic vocabulary development. * Advanced Matter follows the flexible yet comprehensive approach of the other books in the series.ning and regular progress tests - everything students need to help them get the best possible results.